Rosa Parks was a U.S. Civil Rights leader. 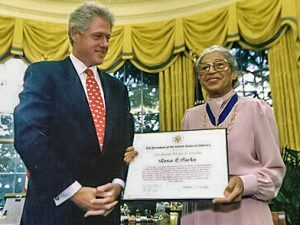 Congress called her the “Mother of the Modern-Day Civil Rights Movement.” She received many awards for her fight against racism in the U.S. She received the Presidential Medal of Freedom and the Congressional Gold Medal. She was born in Alabama, on February 4, 1913. Her father was a carpenter, and her mother was a teacher. Rosa was African-American, with a little Indian and Scotch-Irish background. In her early years, she had a mix of home school and some formal school. But she spent much of her time caring for relatives. In 1932, Rosa married Raymond Parks. She then worked hard to get her high school degree. She also got the right to vote, after 3 tries. And she joined the NAACP, a group that fought for Civil Rights and Social Justice. She spent the next 2 decades working many jobs, and she worked hard towards Civil Rights efforts. One view of Rosa during these years was, “She was sweet and soft-spoken, but made a statement that screamed so loud.” But her largest statement would occur in 1955. She gained national attention over her stand on bus laws. 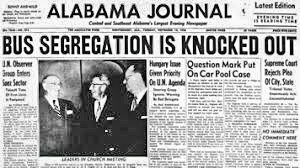 In Alabama, there were “Jim Crow laws.” With these rules, blacks and whites were segregated in almost every part of daily life. 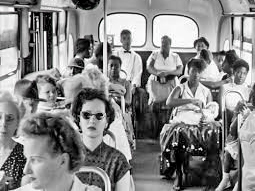 On buses and trains, blacks and whites had to sit in separate sections of the vehicle. The first four rows of the bus were held for whites. But the driver could extend the whites-only section whenever he wanted. 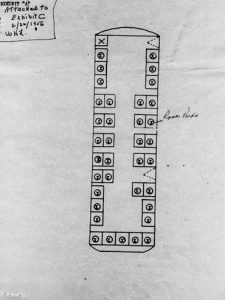 If, during the route, more whites got on the bus than would fill the first four rows, blacks would have to move to the back, and / or stand up. There were some times where blacks had to get off of the bus to make room for the whites. 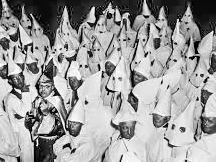 Blacks and whites were also not allowed to sit across the aisle from each other. Busing was even worse for students. Only whites could ride buses to and from school. Blacks had to walk. Growing up in these times, it was clear to Rosa that there was a “white world” and a “black world.” Seeing things like this, she knew about racism at a young age. She even saw her grandfather guarding their house with a shotgun, as the Ku Klux Klan would march down the street. On December 1, 1955, in Montgomery, Rosa Parks had paid her fare and was seated on the bus. The bus began to fill with more whites, as the route went on. 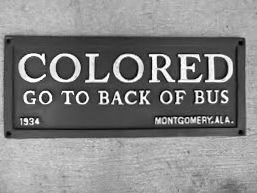 The bus driver, James F. Blake, moved the “section sign.” He told Rosa and 3 other blacks to move toward the back of the bus. Telling the story of that day, Parks said: “When that white driver stepped back towards us, when he waved his hand and ordered us up and out of our seats, I felt a determination cover my body like a quilt on a winter night.” The same driver had kicked her off of a bus back in 1943. Blake said, “Y’all better make it light on yourselves and let me have those seats.” The 3 other people moved, but Rosa stayed in the same seat. She slid from the aisle over to the window. As the police officer took her away, she asked him, “Why do you push us around?” He said, “I don’t know, but the law’s the law, and you’re under arrest.” Four days later, her trial lasted 30 minutes. Parks was found guilty and fined $10, plus $4 in court costs. 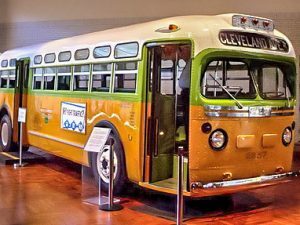 On the night of Parks’ arrest, Civil Rights leaders planned a broad Bus Boycott. On Sunday, December 4, news of the boycott spread among black churches throughout the city. On Monday the fifth, a few blacks were able to get to work via black-owned cabs or carpools. But most of the 40,000 bus riders walked to work on this rainy day. Many of them walked from as far as 20 miles away from their work. 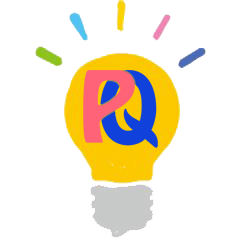 That night, a new group was formed. It was called the “Montgomery Improvement Association.” The members elected as their president a newcomer to the city. This young and mostly unknown minister of Dexter Avenue Baptist Church, the “MIA’s” new president, was one Dr. Martin Luther King, Jr. In the end, the bus boycott lasted for 381 days. Dozens of public buses stood idle for over a year. This badly hurt the bus transit company, until the law about segregation on public buses was lifted. Some people fought back with terrorism. Black churches were burned or blown up. Martin Luther King’s home was bombed in the early morning hours of January 30, 1956. However, the bus boycott marked one of the largest and most successful mass movements, ever, against racial segregation. 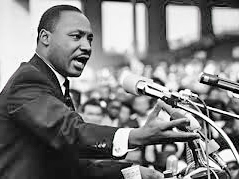 It sparked many other protests, and it moved King to the forefront of the Civil Rights Movement. 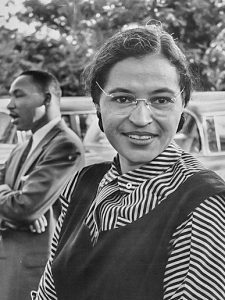 Through her role in the boycott, Rosa Parks played a very important part in making the world more aware of the plight of African-Americans through the events of their Civil Rights struggle. 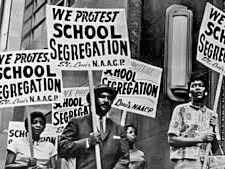 On November 13, 1956, the U.S. Supreme Court stopped racial segregation on buses, deeming it against the law. 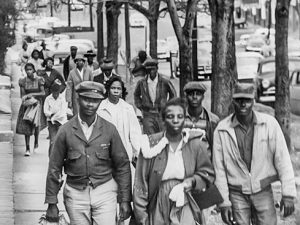 The court order arrived on December 20, 1956, and the bus boycott ended the next day. 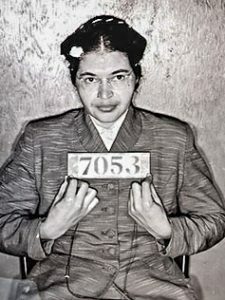 Rosa Parks suffered hardships as a result of her courage. She and her husband lost their jobs. They later moved to Detroit. In 1965, African-American Congressman John Conyers hired her as a secretary and receptionist for his office in Detroit. She held this job until she retired in 1988. 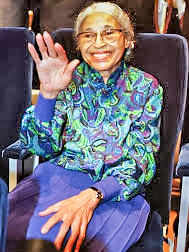 In 2004, Rosa Parks was found to have severe dementia. She died, at the age of 92, on October 27, 2005. Her casket traveled to Montgomery, Washington, D.C., and back to Detroit. Her death was mourned across the country. On October 28, 2005, the House of Representatives honored Parks’ life by letting her body lie in the U.S. Capitol Rotunda. Since the 1852 founding of the practice of lying in state there, Parks was only the 31st person, the first woman, the first American who had not been a U.S. government official, and the second non-government official to be so honored. She was also the 2nd black person to lie in honor, after Jacob Chestnut, one of the two U.S. Capitol police officers who were killed in the 1998 Capitol shooting. The 30th and 32nd persons so honored were former presidents Ronald Reagan and Gerald Ford. On October 30, 2005, George W. Bush ordered that all flags on U.S. public areas, both within the country and abroad, be flown at half-staff on the day of Parks’ funeral.